A popular style of Japanese sushi is gaining momentum in Vancouver with more restaurants offering their own versions. Omakase means to entrust. Patrons sit back as the chef decides what they’ll be eating for their meal. On the Coast food columnist, Gail Johnson spoke with host Gloria Macarenko about the dining experience that picky eaters might want to skip. “Just as the chef is experimenting, you’ve gotta be prepared to take a few risks of your own,” said Johnson. Omasake offerings change daily and are delivered in multiple, smaller dishes, she said. Listen to the full interview here. 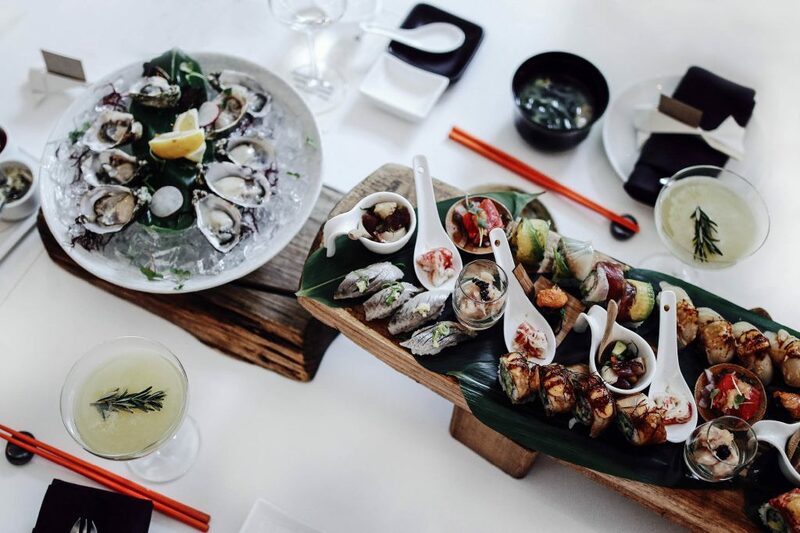 Food columnist Gail Johnson speaks to The Lobby Lounge and RawBar’s new Omakase Long Table sushi experience and highlights Chef Taka’s 100% Ocean Wise menu.